Aquila Wheelchair Cushions - Built To Treat & Prevent Pressure Sores. Get the freedom to go where you want when you want with a wheelchair cushion from Aquila. Aquila is veteran owned and working to improve the lives of our fellow veterans. To fight pressure injuries you need movement. Our patented cushions provide that movement. Pressure sores are a huge problem for wheelchair users. Our custom made cushions are the solution to that problem. Aquila cushions actively work to prevent pressure sores by alternating every 60 seconds relieving pressure to compressed tissue, the leading cause of pressure sores. Aquila cushions simulate pressure lifts, which are required with all low-tech static cushions. Aquila cushions are also custom built to heal existing pressure sores. There are examples of the remarkable healing under the studies tab above. As you continue reading our website you will see why Aquila cushions are the smartest and safest cushions on the market. We have one focus, to improve the quality of life of every client by fighting and assisting the treatment of pressure sores. Insist on the best. 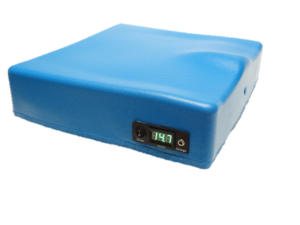 The only cushion clinically proven to heal pressure sores, an Aquila. Aquila has more relevant clinical studies and case reports than any wheelchair cushion on the market, including a 5-year study from the Cleveland Clinic. 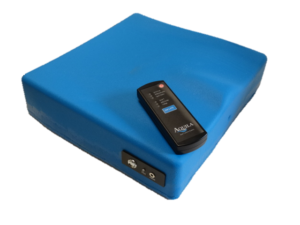 Aquila clinical reports include the remarkable improvement to a huge stage 4 pressure sore which was caused while sitting on a Roho cushion, and healed by an Aquila wheelchair cushion. Articles referencing healing achieved with our cushions bring have been published in medical journals. The data and real world results confirm an Aquila cushion is the most effective cushion on the market for fighting and treating pressure sores. Choose the best. Choose an Aquila wheelchair cushion. The truth is, a wheelchair cushion can directly affect your health in either a positive or negative way. It can be an invaluable tool that actively combats pressure sores by generating its own pressure relief or it can just sit there doing nothing , contributing to the formation of pressure sores. A static wheelchair cushion exerts constant pressure which experts tell us is the leading cause of pressure sores. Be it foam, gel or air, if the cushion itself cannot create movement, stimulate circulation and provide pressure relief, it is putting you at risk of developing pressure sores with every passing minute. Static cushions require lifting and shifting every 20 minutes in an effort to prevent pressure sores. If you are not diligently doing manual pressure lifts every 20 minutes, pressure sores have the perfect opportunity to form. This is where Aquila wheelchair cushions shine. Our cushions replace pressure lifts and automatically provide essential pressure relief every 60 seconds, all day long. 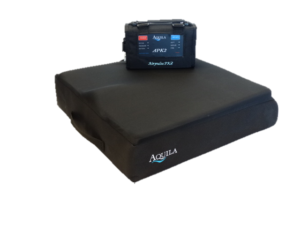 Aquila custom wheelchair cushions are a consistent and effective method to deliver pressure relief. The choice is easy in terms of what is best for you and the battle with pressure sores. Aquila, clinically proven with real world results. All Aquila cushions are battery operated and can be used on manual wheelchairs, powerchairs or regular sitting chairs. Consider the medical protocol after a flap surgery. Medical professionals recommend and sometimes require an alternating mattress be used by the patient to prevent relapse. An alternating mattress interrupts the constant pressure to the body and stimulates circulation which is what is needed to avoid pressure sores. Doesn’t it make sense to continue medically prescribed therapy while using your wheelchair? If you use a motionless static cushion at home, with every passing minute your body weight is pressing down on your pelvic bones compressing the tissue beneath. The exact cause of pressure sores. This is true for any static cushion be it foam, air or gel. The circulation is cut off and cells begin to die and the result is pressure sores. That’s why with static wheelchair cushions medical professionals recommend pressure lifts or heavy leaning side to side every 20 minutes in an effort to relieve pressure and avoid pressure sores. That work is not necessary with our wheelchair cushions. Aquila cushions are much smarter and an infinitely easier method to ensure pressure relief 60 times per hour. Our wheelchair cushions work all day long on your behalf replacing wheelchair push-ups and leaning. Please Note: These are the three models available for purchase. Aquila Corporation no longer manufactures or sells the Airpulse PK rubber wheelchair cushion. The APK2 and SofTech wheelchair cushions are custom made for each client to achieve the very best outcomes. Our cushions are not mass produced. Being custom made, each cushion is carefully planned, laid out and hand built to deliver best results for each client. If you are looking for comfort, pressure sore prevention or healing of a current pressure sore, we can help. Even if you have a chronic sore that will not seem to improve or heal, give us a call. We are experts at building wheelchair cushions that work to heal sores and we have never turned anyone away because a sore was too severe. 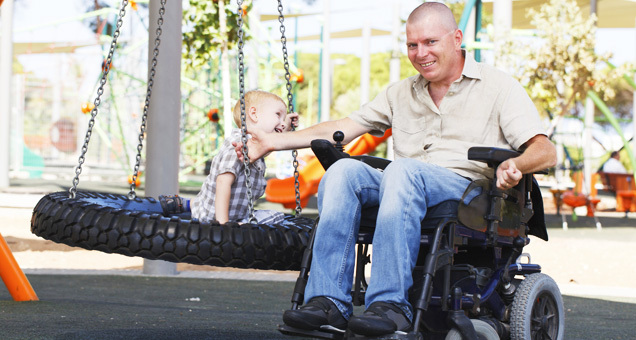 At Aquila we all share in a common goal and that is to build the most effective wheelchair cushions on the market while providing top level customer service. When you invest in an Aquila wheelchair cushion you are not just a number. You become part of the Aquila family. As part of our commitment to providing the best customer service, we maintain records of equipment purchased and all communications with the clients. When ready to order, and for fastest results, you can purchase directly from Aquila with no prescription required. If insurance must be involved, you will need to go through an authorized durable medical equipment dealer because Aquila does not do any insurance billing. A letter of medical necessity and prescription are needed if dealing with insurance. If you want to get in touch with an authorized durable medical equipment dealer call our customer service today! “Our company remains dedicated to providing the most effective therapeutic wheelchair cushions in the industry. We are and will always be the experts in crafting custom cushion solutions whose sole function is the prevention and healing of pressure sores. Clients come to us with pressure sores after sitting on static wheelchair cushions and we create solutions designed to heal those pressure sores, and we do it very well. If you have pressure sores you have come to the right place. We can help. We have helped thousands of people”.